“Today’s inauguration will be met this weekend with an unparalleled public outcry against Donald Trump’s hostility toward women and a surge in activism devoted to advancing equal rights and dignity for all people. In a weekend marked by both the Women’s March on Washington, satellite marches in cities across the country and world, and the 44th anniversary of the Roe v. Wade Supreme Court decision, voters — especially women — across the nation are engaged and fighting back against the Trump administration’s anti-woman agenda. “The new administration is threatening to undermine federal protections for contraception, including through repeal of the Affordable Care Act (and its contraception mandate) and defunding essential reproductive health care services. Trump’s promise to appoint justices to the Supreme Court who will overturn Roe v. Wade, and to punish women who have abortions, imperils women’s ability to control their lives and their futures. Congressional leaders are already sending signals that they want to pass a ban on abortions after 20 weeks and codify the Hyde Amendment, which withholds insurance coverage for abortion from low-income women. 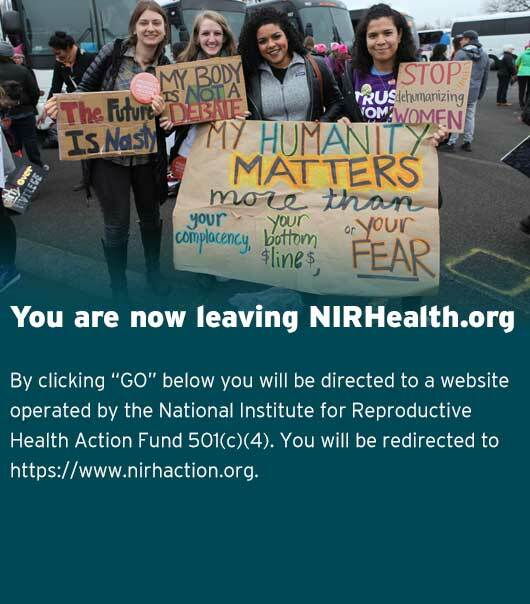 These discriminatory efforts to severely restrict access to abortion and contraception endanger the health and well-being of millions of women. “The overwhelming majority of people across the country want abortion to be safe, legal, affordable, and available in a woman’s community — the opposite of what Trump has advocated. These beliefs are being put into action as voters direct their energy not just at fighting Trump, but also against the state and local legislators who have driven the attacks on women’s rights in recent years. In 2016, advocates advanced 191 pieces of legislation aimed at improving and protecting reproductive and sexual health and rights. We’re heartened by the groundswell of support for proactive reproductive rights legislation in every region in the country and anticipate further progress and resistance against attacks at every level of government.